This post comes to us from Paula Mahon at FindyourLLM.com. 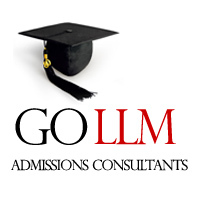 The crucial decision for every potential law student – what law school do you pick for your LL.M.? With an abundance of choice in the US alone (see the U.S. LL.M. directory on FindyourLL.M. ), this decision is never an easy one. There are so many criteria to take in to account. Forgetting about the basics like price, the task of leaving home and the inescapable need to master the English language, there are other huge factors to examine; is it ABA accredited? What are the employment prospects like? Is the faculty reliable? Bearing these in mind, here is your exclusive guide on how to simplify choosing the right law school. This is a controversial, yet undeniably vital topic. A lot of people argue that law school rankings are unfair, biased or completely wrong. However, the schools that are truly good will always be near the top. There are about 200 ABA-approved law schools in the U.S. Try to research as many as possible (you can find the list of rankings here) and see if there are any that fit your taste and ambitions. Location… Within reason. Any student that is granted to study at a Top 14 school like Harvard, Yale or Columbia should take it regardless of where they are from. If you attend a Top 14 law school, you could practice almost anywhere in the United States. However, the majority of people do not. Therefore, you have to ask yourself where you see yourself spending the next year of your life, possibly longer if a job opportunity arises after graduation. Another thing to consider is the type of atmosphere you want your U.S. graduate experience to be like. If you want a campus-like life you are probably better going to somewhere like Duke Law School, where you could make university friends much easier by living close by. You will experience the life of a true local, stay close to the law school, and get to know your professors better. If you want to separate social and academic life and experience a fast-paced, multicultural, urban feeling, go to somewhere like NYU. You will be spoilt for choice when it comes to entertainment, restaurants and nightlife. Although the quality of education is a main priority, so too is your personal well-being. The general assumption is that anyone who goes to law school would like to get a good job in the legal arena, right? It’s a lot easier to get this when you have a good career service behind you. The faculty of the law schools you are considering need to be at the top of their game, with extensive knowledge of both the law and the legal industry. There needs to be communication from the faculty with alumni and other contacts. This provides the groundwork for your future opportunities and employment. It is no secret that doing an LL.M. is costly. They can range from $25,000 to as much as $82,000 in the USA. Law school tuition can seem insane, but there is help available. A scholarship greatly aids you in your attempt to pay off monstrous tuition fees and also looks great on a resume. Crowdfunding can also be an option, with websites such as studentfunder.com (more information about crowdfunding for students here). 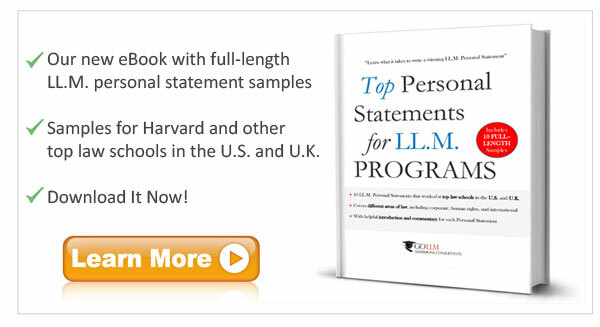 Talk to alumni of the law schools you are interested in to understand fully what their LL.M. experience was like. Find out from potential employers how they value each program. Talk to the career services department at each school to assess what they offer that will help you land the sort of job you intend to get upon graduating and what their overall employment percentage is like for that LL.M. program.